All shows include filmmaker Q&A! Film running time: 30 min. 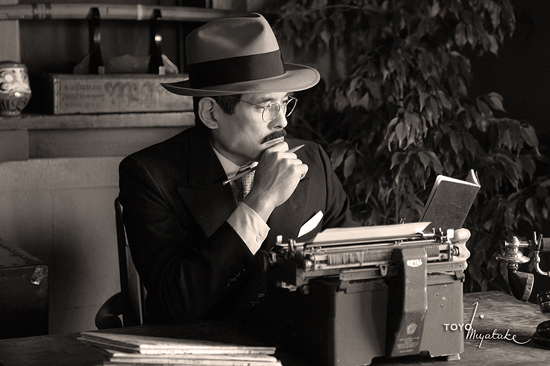 This early publicity still from “Lil Tokyo Reporter” furnished by Toyo Miyatake Studios shows Tashima as Sei Fujii, founder of the Kashu Mainichi.